Go in any secondhand book shop and I guarantee you’ll encounter a whole rack of old Pelican paperbacks from the 60s and 70s. I’ve picked up plenty – not for their content (which is usually high-brow academic), but for the strange and wonderful covers. 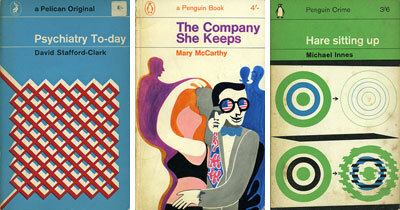 Designer Joe Kral is another man obsessed with these vintage gems – and he’s started an online gallery of vintage Penguin and Pelican covers. Great graphics, intriguing titles and vintage art you can pick up for around £1.